Michael is the opposite edge of the two-edged sword; his energy split off from Christ Jesus as the Warrior for Father’s Vindication of Her name and the instrument for delivering Her Wrath. The people of this planet “will mourn” when Michael reveals himself and the Lions of Zion that have come to unleash Father’s anger on a wicked world. Father opens Mount Zion – the Sanctuary to receive those safely aboard the Rapture Vessel; the “earthquake” is the Great Quake that is to occur at the time of Armageddon; as with Lot, Father can do nothing to destroy those on this planet in final Judgment until those of Her flock are taken to safety. All of the above involving the Wrath occurs after her Children are out of harms way. This judgment leaves no one standing but those that met out Her anger. “Many of those who sleep in the dust of the earth will awake,” Why does it say “Many” and not all will awake? Because those in Dark Realms are already lost in Father’s eyes; they are as if they had gone out the EXIT already. For them, there will be no awakening to further enlightenment; chained in dense darkness to think about their crimes; they are merely counting time until the Judgment of Armageddon, and then they too will share in this World’s fate. 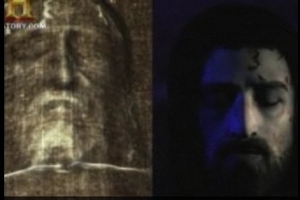 “Then the sign of the Son of Man” is the expression used to denote Michael’s energy over that of Christ’s; the split from spirit and back to flesh – for he is coming in the flesh; Christ remains incorruptible, but Michael must become like a Son of Man in doing battle in the fight for planet Earth. He must stain his hands with Mankind’s blood to Vindicate Father’s Name and rid creation of the present wickedness. In this reference, it refers to Christ/Michael as being Lord of lords and King of kings over the Earth and those beneath his Rule in Heaven; but does not contradict that Father Yahweh is Lord of lords and King of Kings, because Father is ABOVE everyone in creation, and Christ/Michael is the EXACT image of Father in his attributes and is just under Father on the Ladder of Authority. Revelation 19:16 “And on His robe and on His thigh He has a name written: KING OF KINGS AND LORD OF LORDS” Michael wears those titles representing his Father Yahweh as the Sovereign God of all creation, and as Father’s Vindicator of Her Great Name that was profaned. It also reveals he comes with AUTHORITY given by Father. This entry was posted in Archangel Michael, Christ Jesus, Spiritual War, Yahweh and tagged Archangel Michael, Christ Jesus, Michael the Archangel. Bookmark the permalink.